Tee-ball is a great sport for youngsters to learn about teamwork and cooperation and become introduced to a sport they may play for many years ahead. In addition to the physical benefits of getting our kids off the screens and outside moving around, tee-ball helps build self-confidence and self-esteem in children. Tee-ball is an entry-level sport that introduces boys and girls (typically from ages 4 to 7) to baseball and softball. Players hit off a tee and run between bases. Most practices are run by a volunteer coach who gets assistance from several parents. The challenge to adults in understanding tee-ball is that it isn’t baseball. It’s tee-ball for little kids and as parents we need to expect that results may vary. At this age, a child’s perspective is that tee-ball practice is a time to see his friends, run around outside and play. Parents should not take caution to see their tee-baller perhaps disinterested, throwing the baseball awkwardly, having difficulty hitting the baseball, or maybe standing in the outfield picking flowers while the game is going on. The real joy is seeing kids progress as they develop their skills and become more aware of the sport and their abilities. As the above video shows, at first, a child won’t be as focused on the playing field as their big brothers might be who are in little league. Maybe they won't catch or throw very well, and perhaps they’ll hit the tee rather than the baseball a few times. That's all part of it. In fact, the human brain doesn’t develop the full capability to coordinate both eyes until around age 7 or 8. That being said, as parents we are free to enjoy watching tee-ballers progress through the season without expecting the world out of them... or from Coach! As they learn the basics in fundamentals and the rules of the game take root, they will certainly display improvements. You may notice them gripping the bat consistently with hands in the correct position. You may see their apprehension in catching the baseball removed. Additionally, a tee-baller may become a better hitter before they become a better fielder. Hitting is the more fun and natural skill to learn. Everyone wants to hit and run the bases at practice, and one of the ways a child can continue playing at home is if they have a batting tee and a parent or older sibling willing to participate. Tanner Tees has been a staple in the production of batting tees and hitting aids for 25 years. Understanding that the next generation of baseball and softball stars will rise from the tee-ball leagues, we are the perfect place for tee-ballers to start. Our premium-built batting tees are proven to be tough and durable, perfect for kids just starting out in tee-ball. 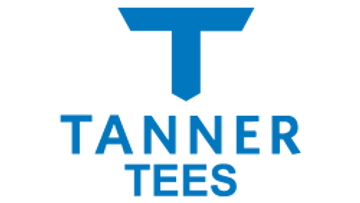 They have two easy adjustment points, making using a Tanner Tee easy for anyone. In addition to our range of batting tees, we also make a durable training net and the Hitting Deck, a training mat that teaches hitters correct tee placement and where to hit the baseball. Tee-ballers start out by just having fun. A few years down the road and if they continue to enjoy the sport, the fun and games will progress into to healthy competition. Having the right training aids will increase their skill level and give them a solid foundation to build on. Give us a shout if you are considering enrolling your son or daughter in a tee ball league and have questions, or if you think your hitter may be ready for a durable batting tee from Tanner Tees!